A delightful book, a collection of Harry Griffin's articles on the Lake District, edited by Peter Hardy for the centenary of Griffin's birth. Harry Griffin was born in Barrow and became an enthusiast, one could almost say a fanatic, for the Lake District and especially for climbing its crags. After serving in military intelligence he was for more than fifty years the writer of Country Diary articles for the Guardian (initially, of course, The Manchester Guardian). He covered the Lake District for the Lancashire Evening Post and was a frequent contributor to Cumbria magazine. In writing the first paragraph above I started with "A delightful little book", then I realised that although it is quite small in format there are more than 250 pages. It's a book for a comfortable armchair in a warm room on a chilly winter evening. Enjoy it yourself, and give a few copies to friends who love Lakeland. Eight articles under the heading "Mountains and Music"
A selection of walk route notes from Harry Griffin's walking diaries, 1977 to 1999. Savour these a little at a time. 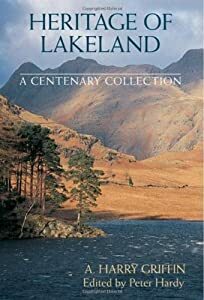 If you love Lakeland you'll love this book.